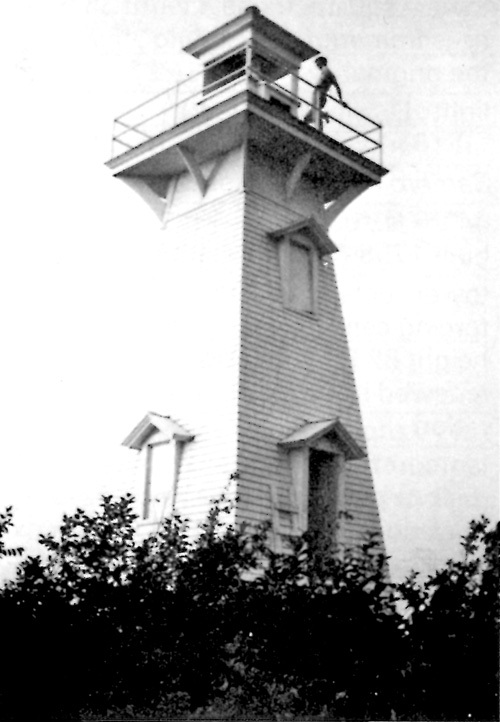 1 Harbour light, Western Gap, Toronto Harbour. 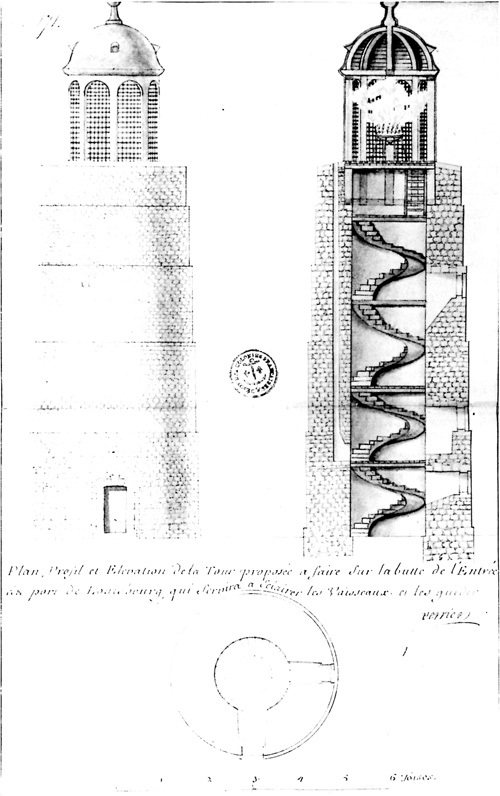 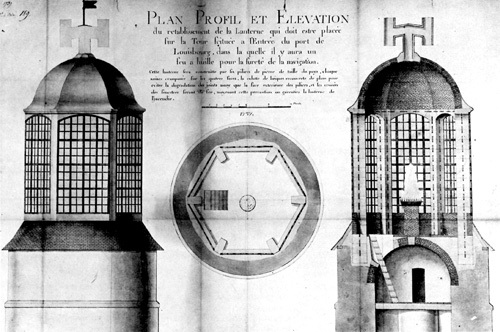 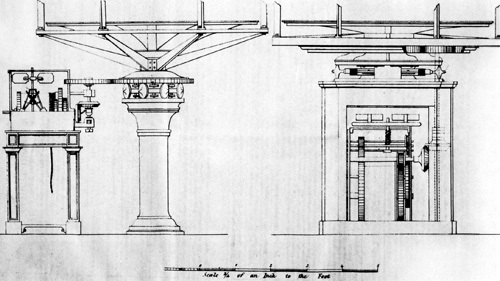 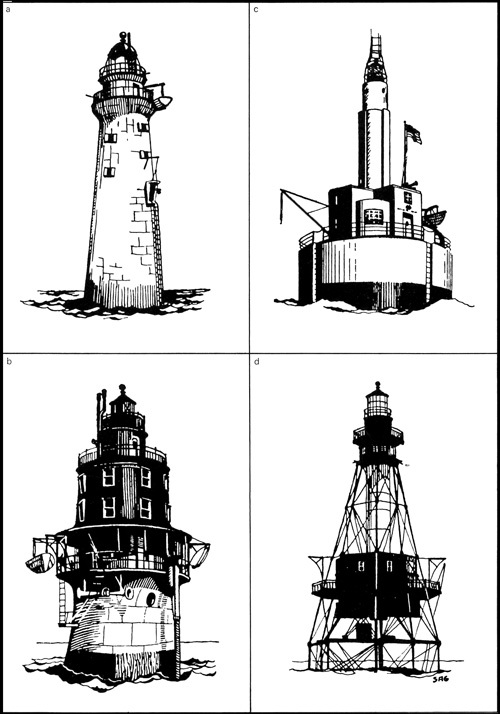 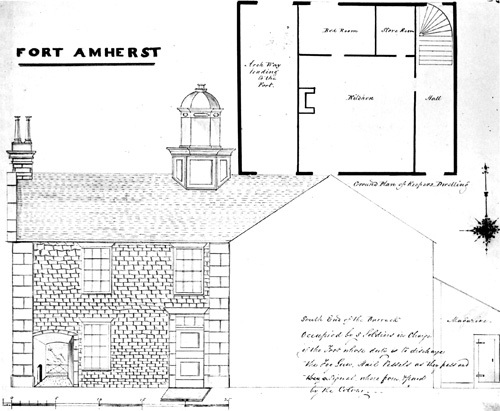 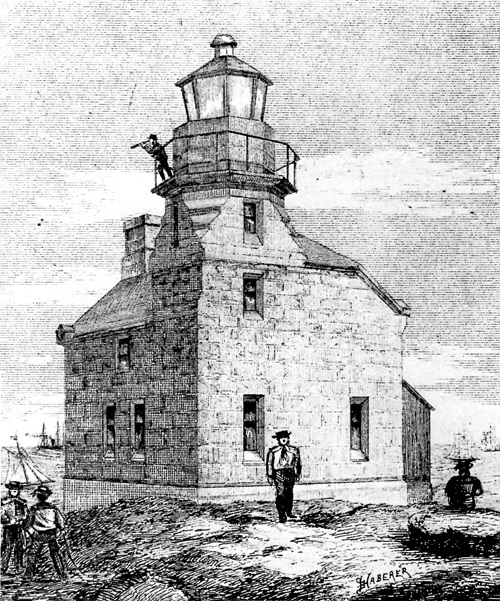 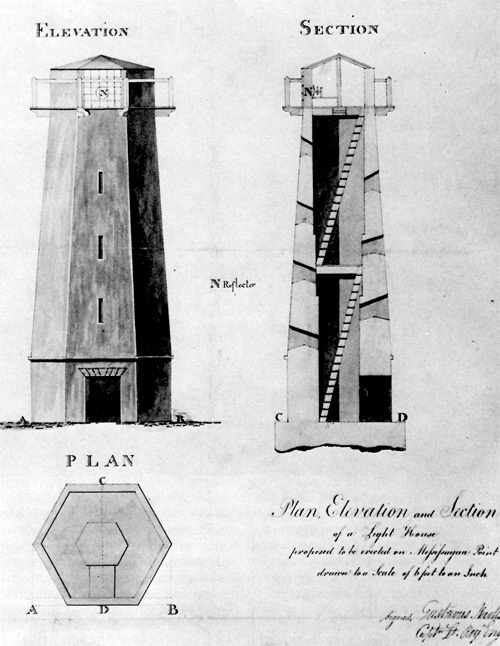 2 Drawings of typical lighthouse structures. 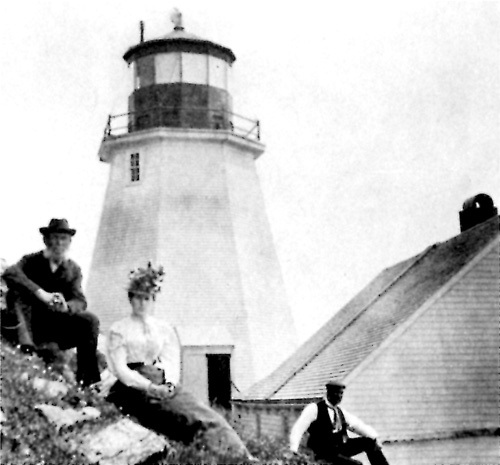 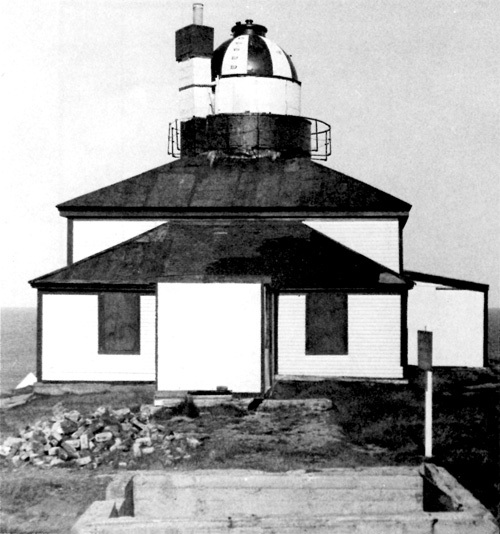 3 Cape Bonavista light apparatus. 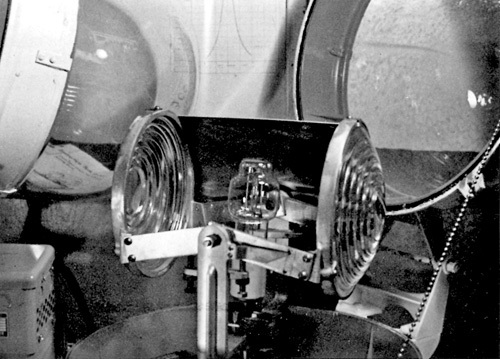 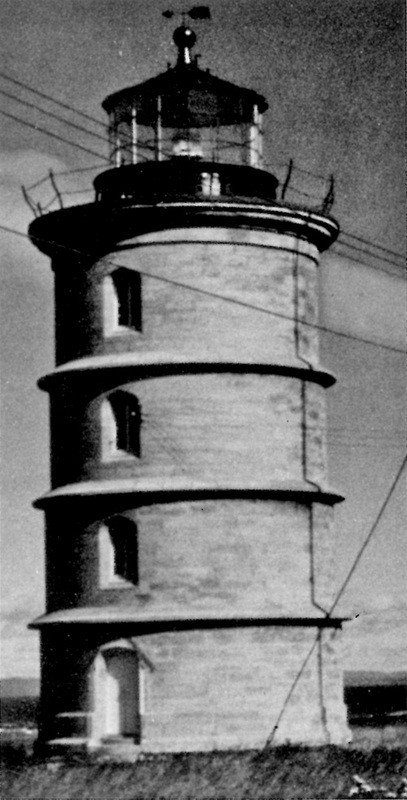 4 1st Order revalving light, used in major landfall lights. 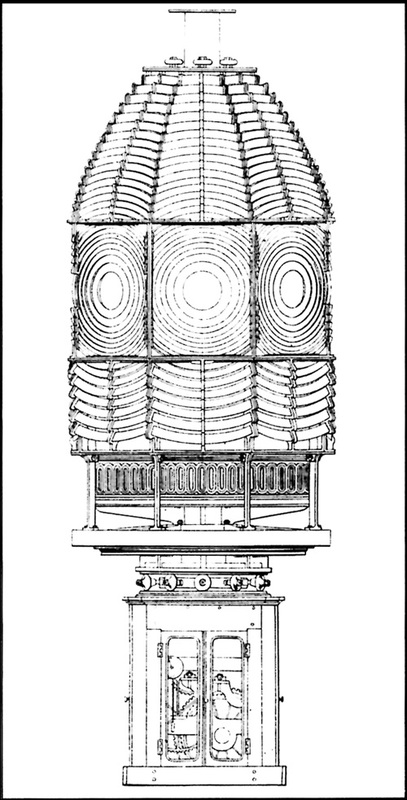 5 1st Order dioptric revolving light in lantern. 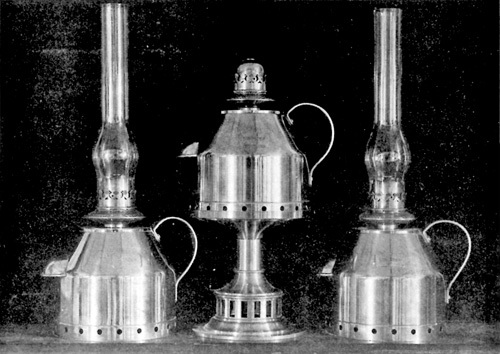 6 Oil lamps used in lighthouses in the 19th century. 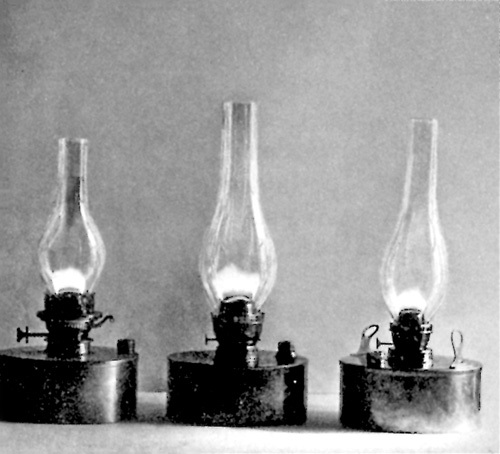 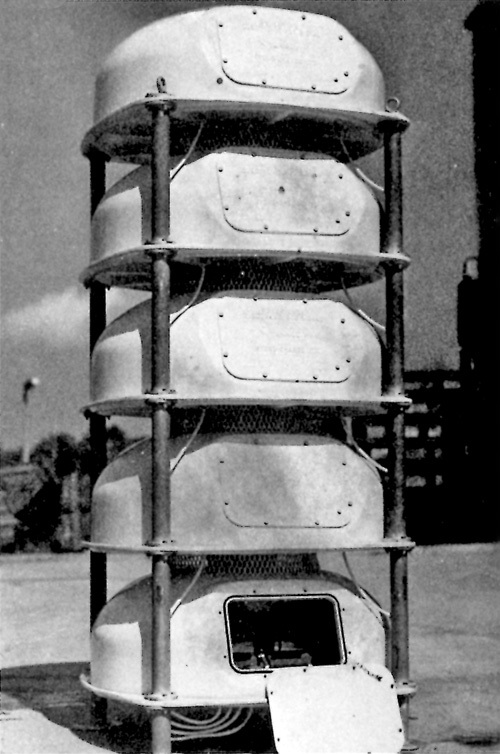 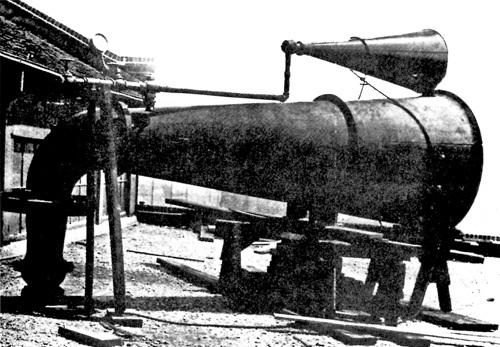 7 Flat-wick lamps for coal oil. 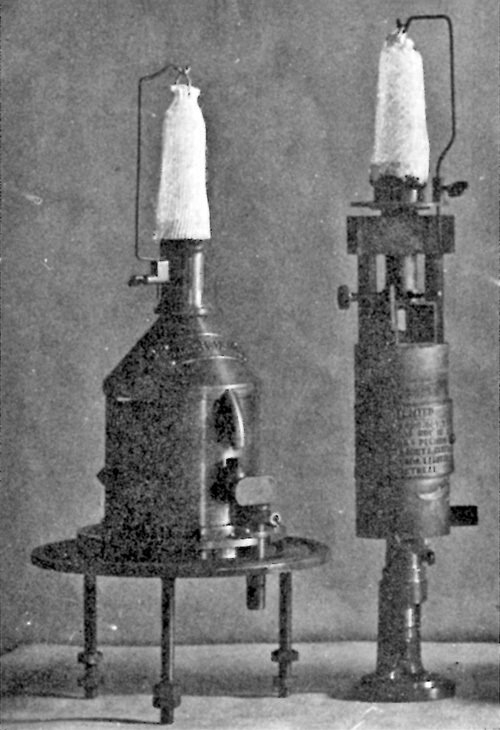 8 Oil vapour lights with incandescent mantles. 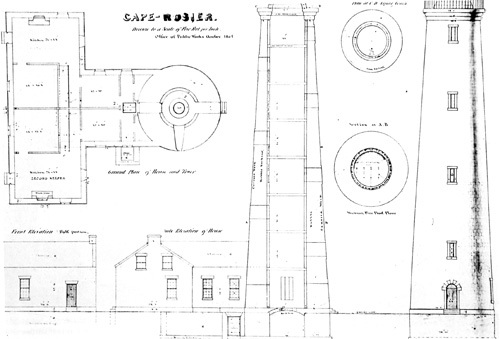 9 Two types of rotary machines. 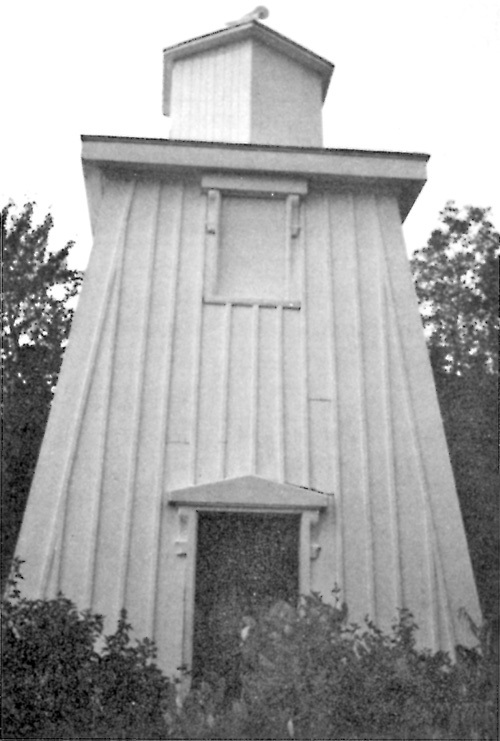 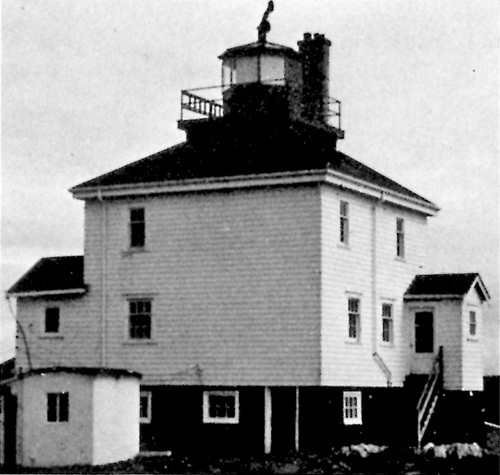 10 Occulting apparatus, Machias Seal Island. 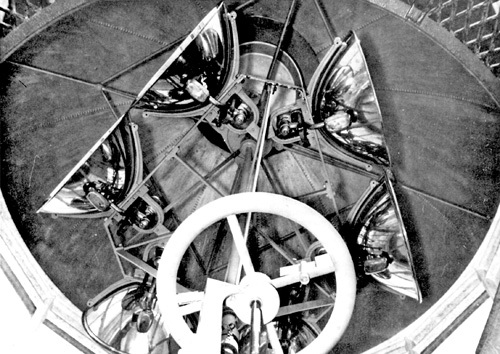 11 Mercury vapour electric light. 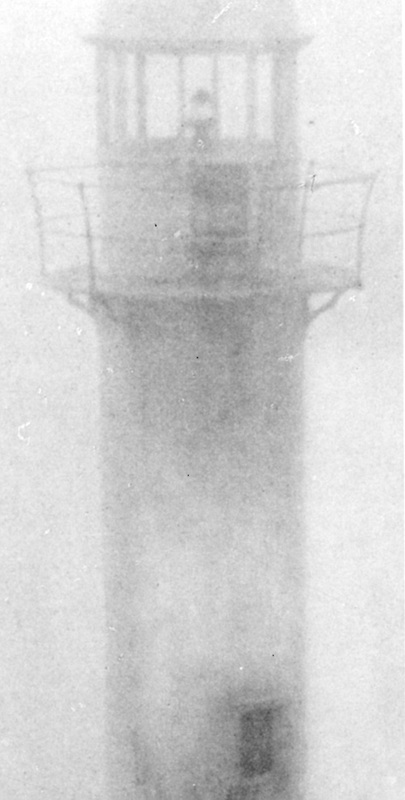 12 A 300-mm. 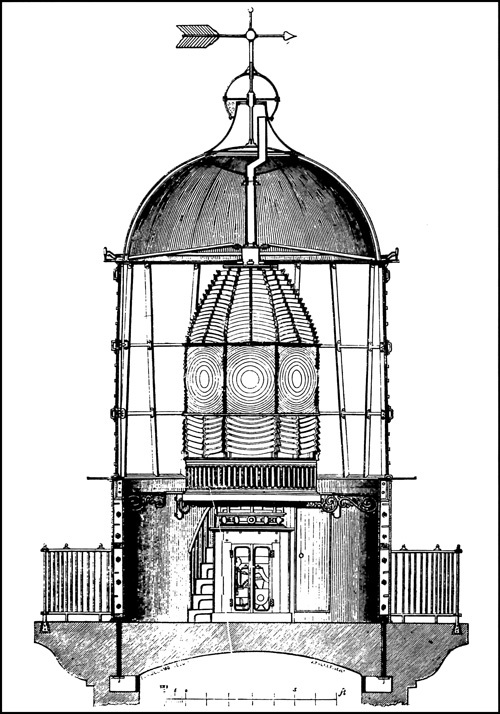 lantern with mercury vapour light. 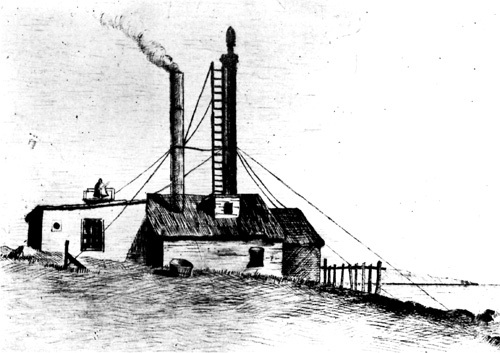 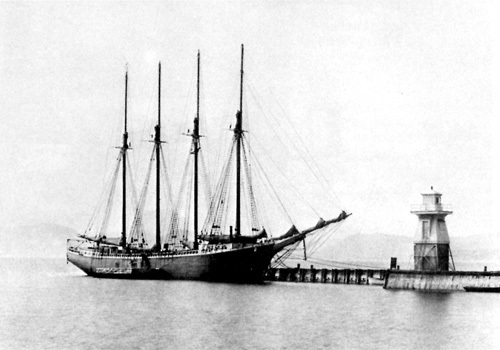 13 First steam fog alarm, Saint John Harbour, N.B. 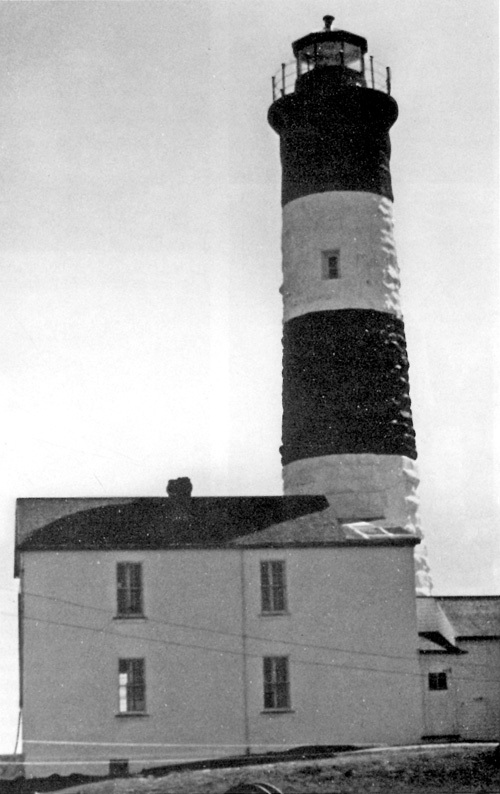 14 Stone Chance electronic fog alarm. 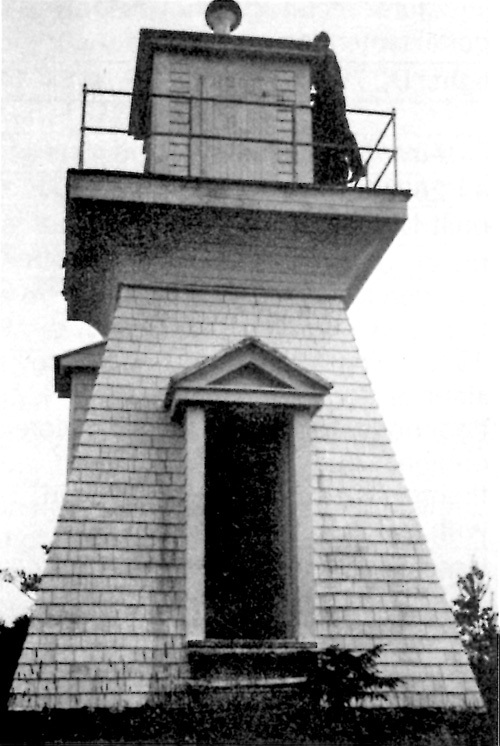 17 Lantern and light apparatus, Louisbourg lighthouse. 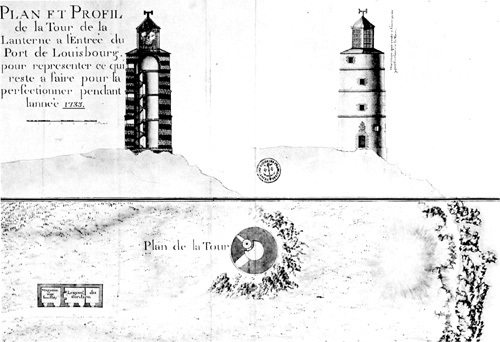 18 Drawings of Louisbourg lighthouse. 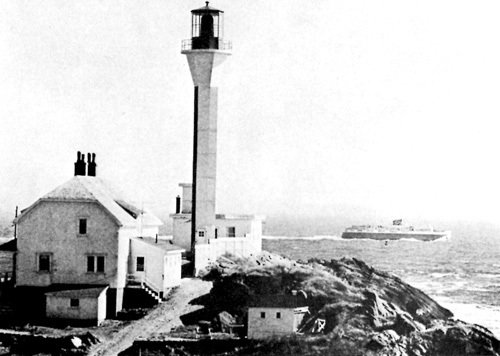 22 Yarmouth or Cape Fourchu lighthouse. 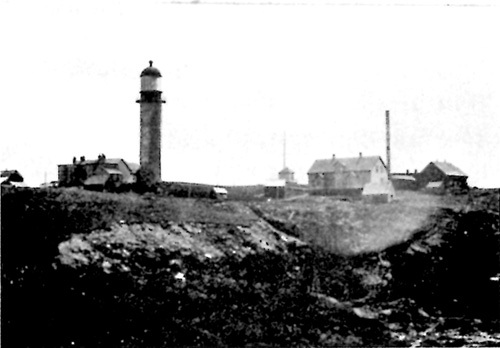 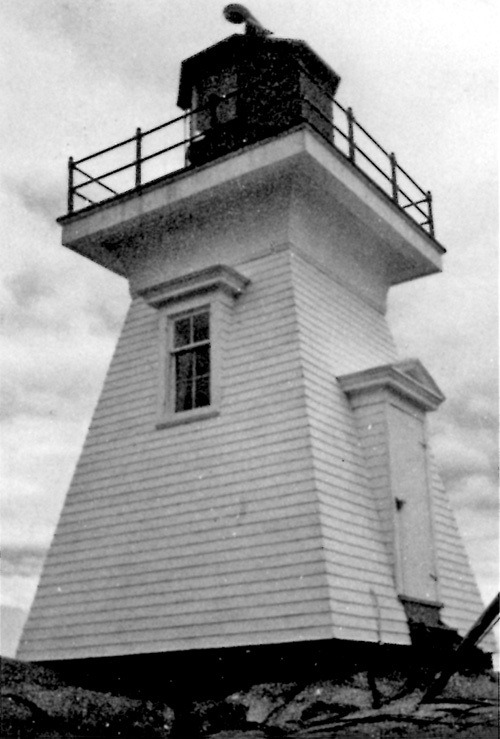 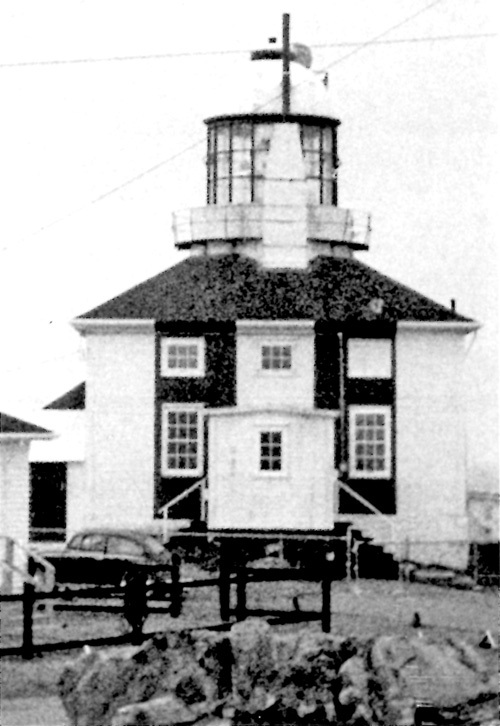 23 Typical harbour light, Dalhousie, N.B. 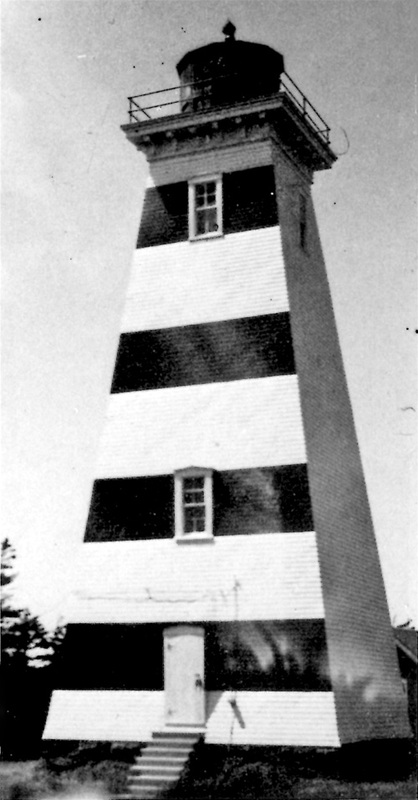 25 Grand Harbour lighthouse, Grand Manan Island. 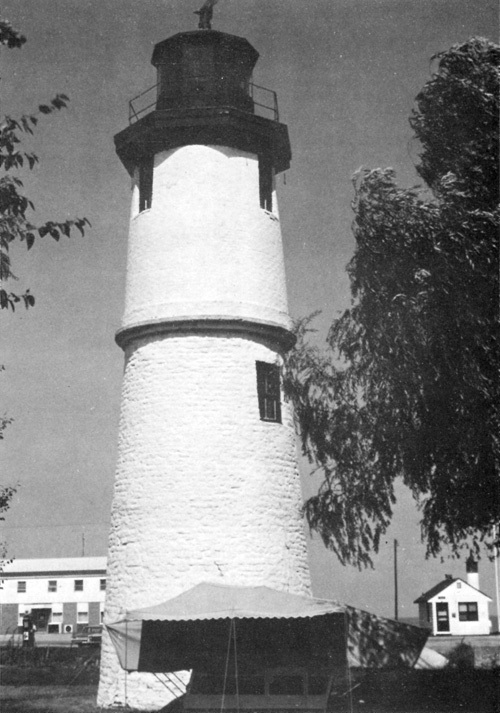 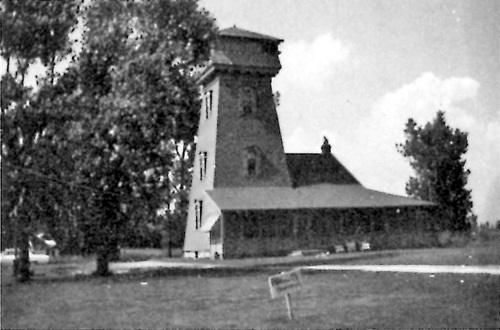 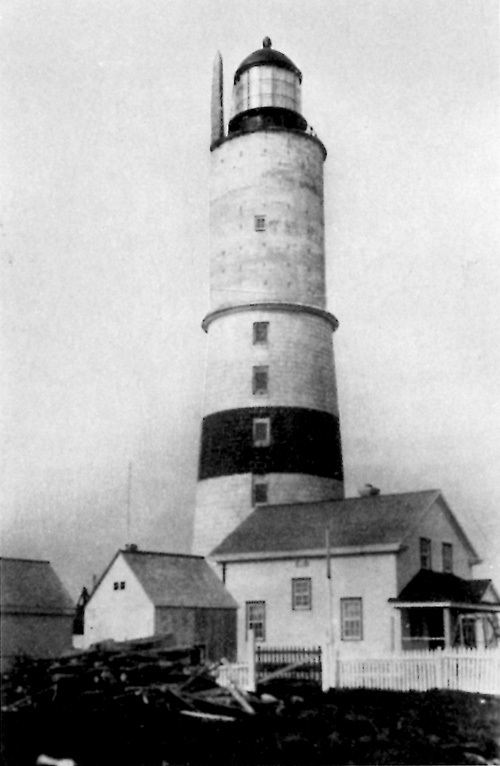 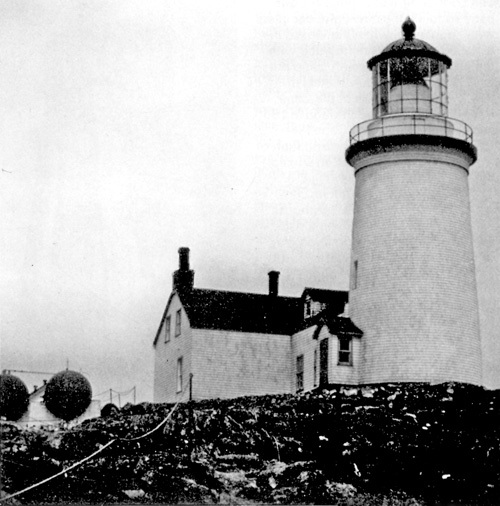 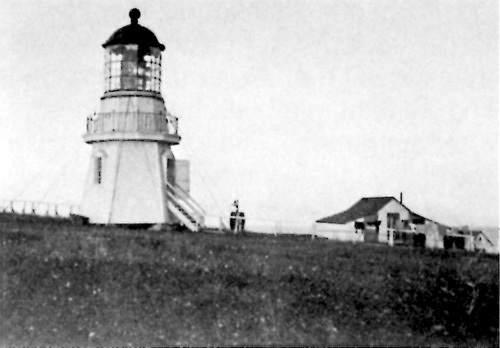 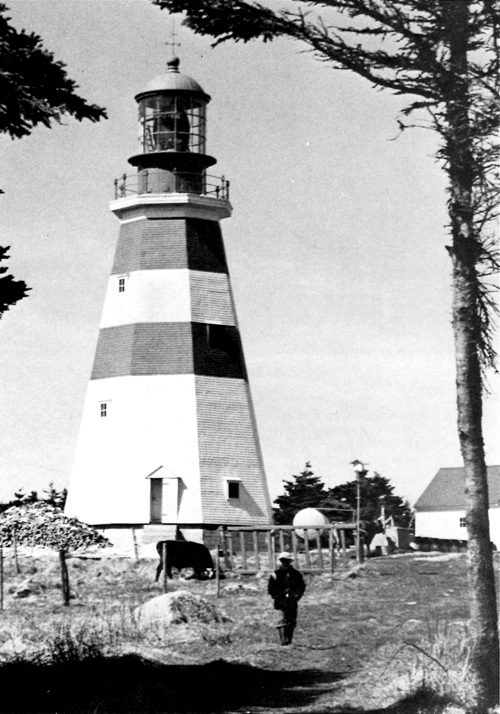 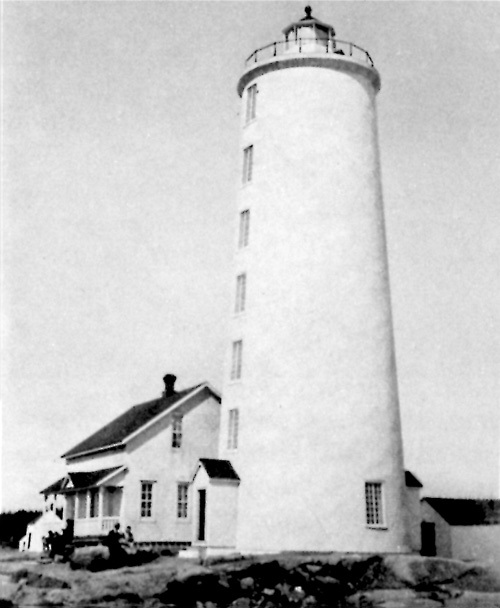 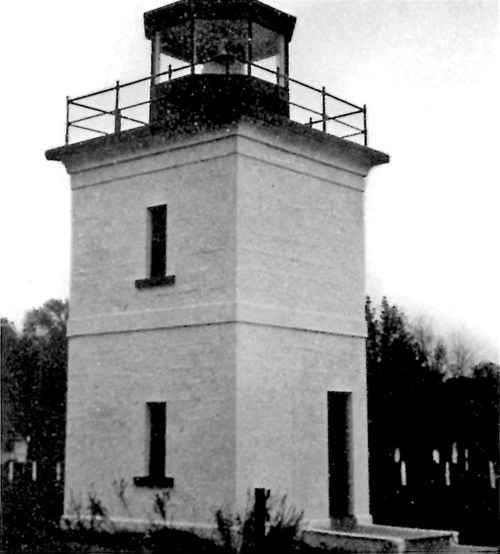 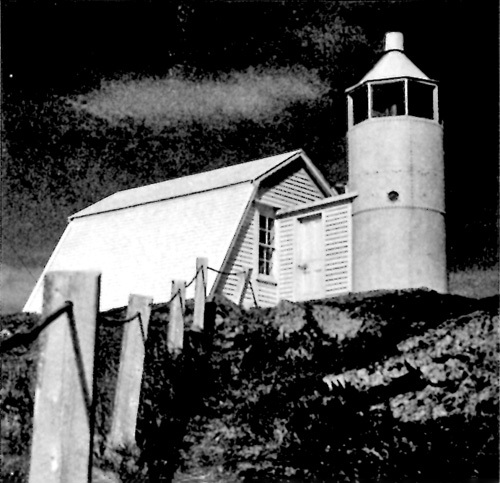 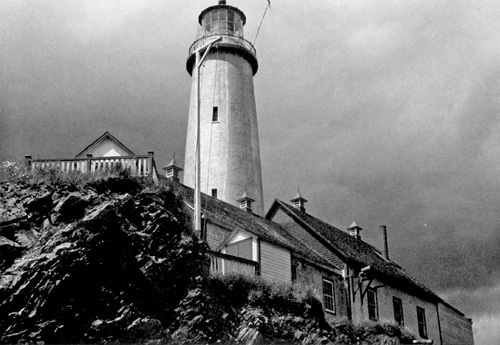 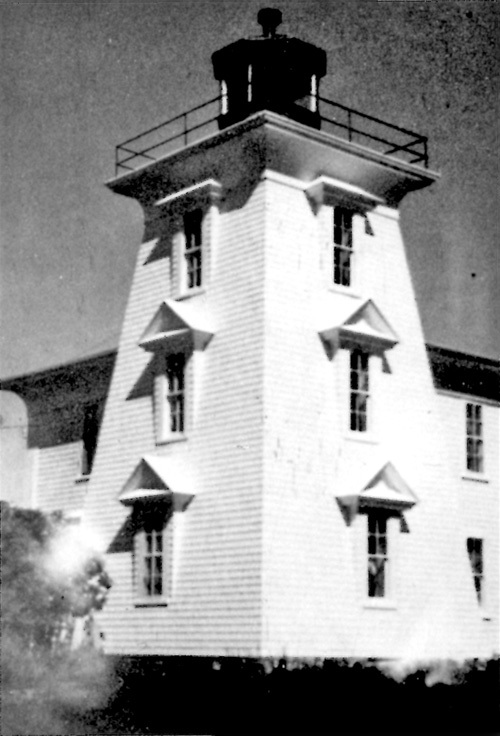 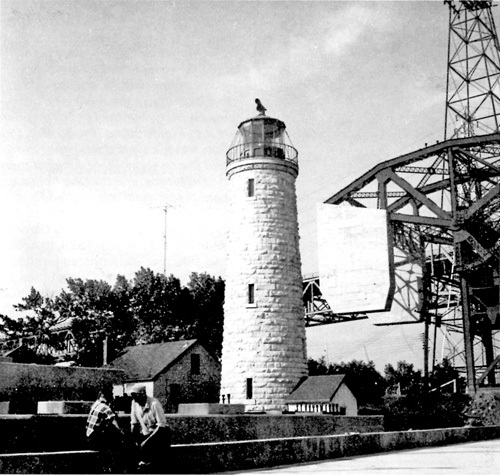 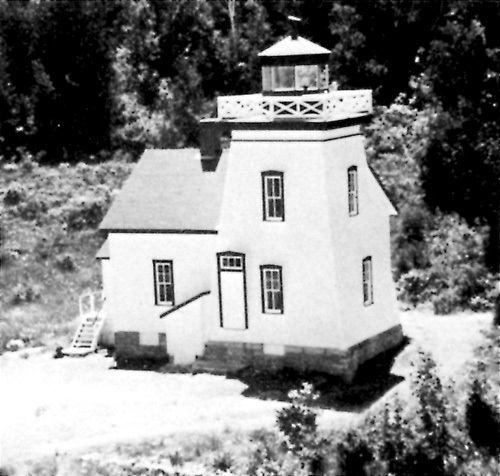 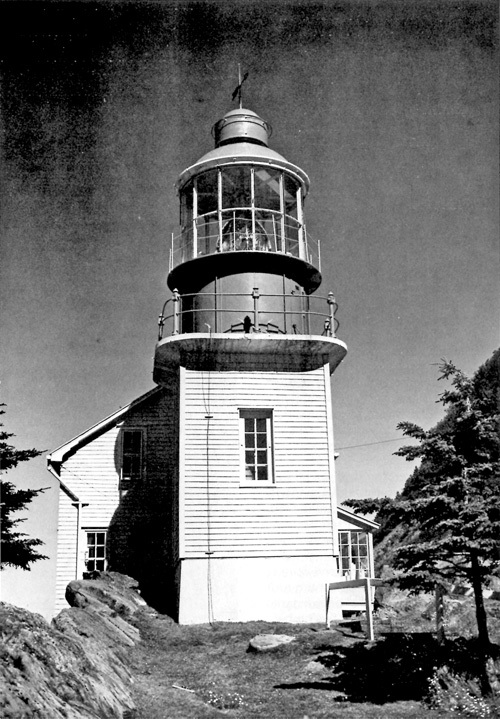 27 St. Paul Island lighthouse. 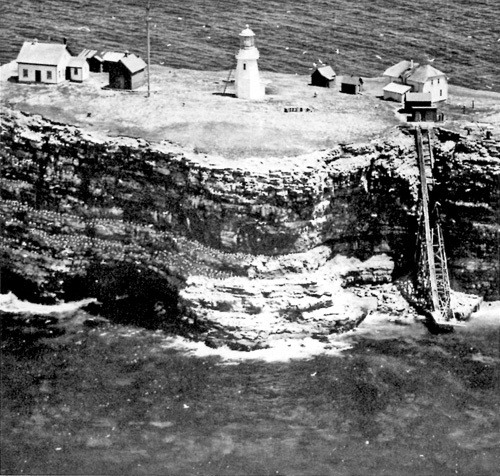 28 St. Paul Island, southwest point. 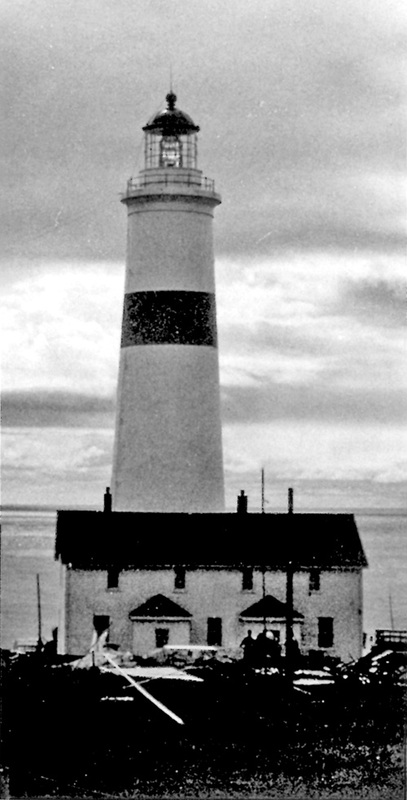 31 Trinity North lighthouse, Newfoundland. 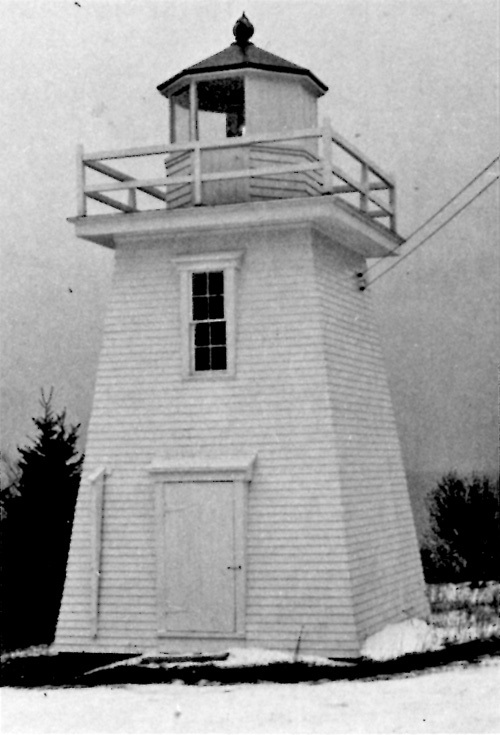 35 Rose Blanche lighthouse, Newfoundland. 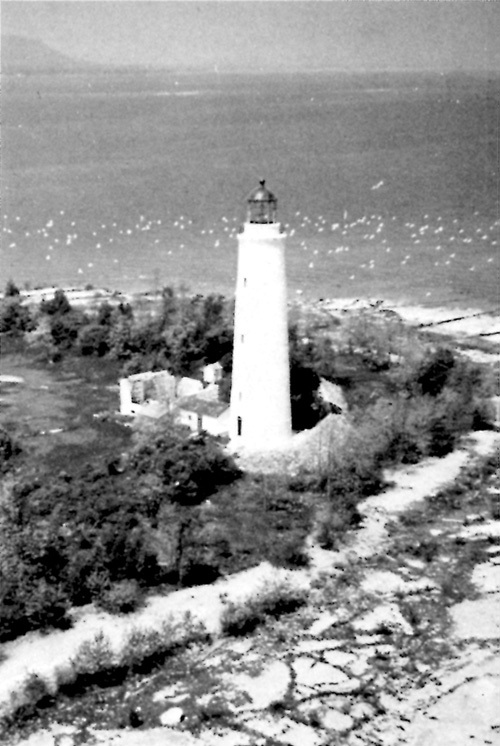 37 Belle Isle lighthouse, north end lighthouse. 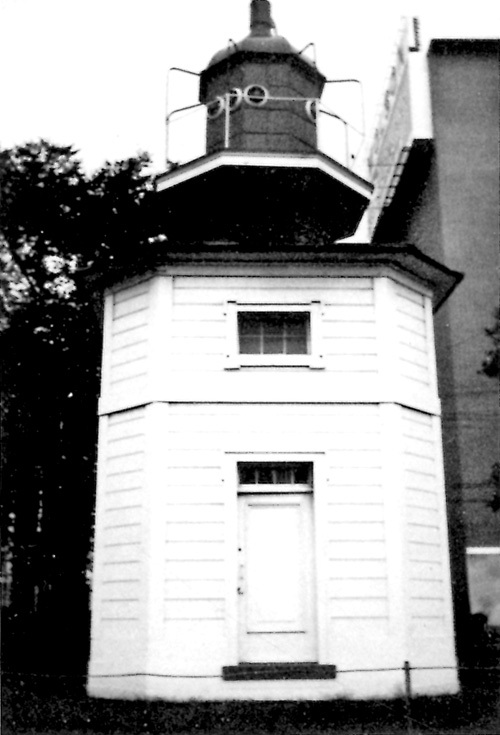 38 Belle Isle, south end, upper. 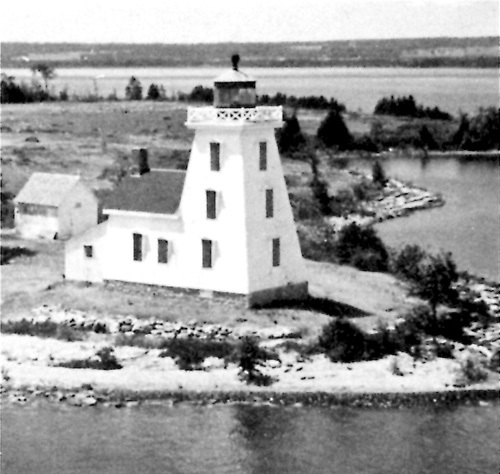 39 Belle Isle, south end, lower lighthouse. 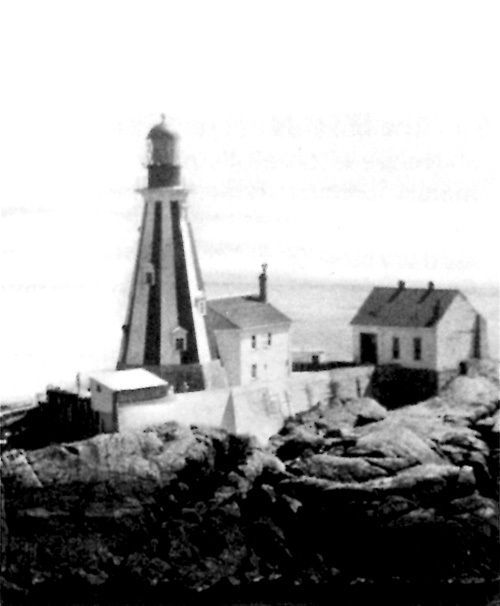 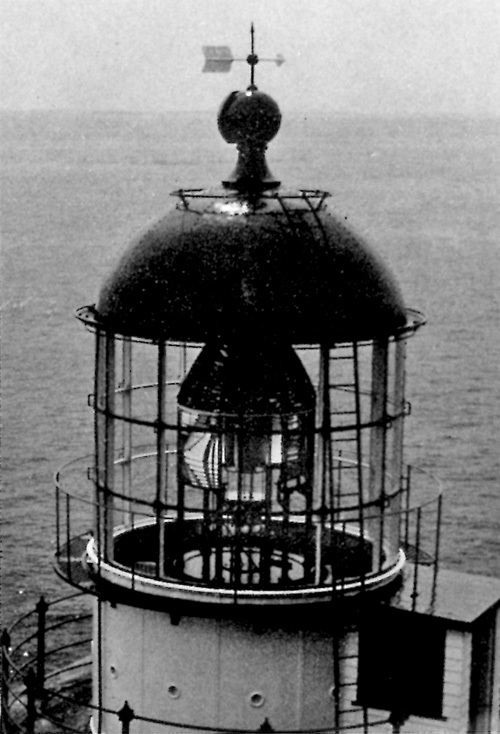 41 Bird Rocks lighthouse, Gulf of St. Lawrence. 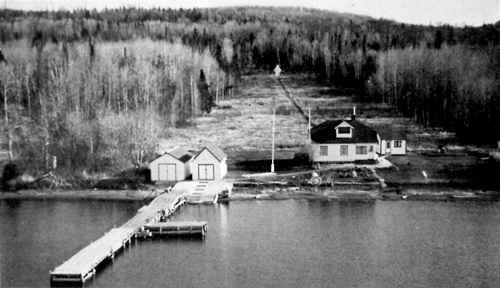 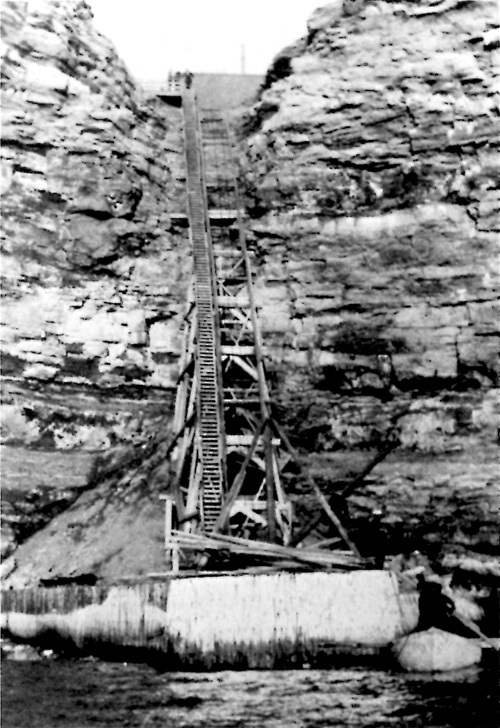 42 Landing stage and trestle, Bird Rocks Island. 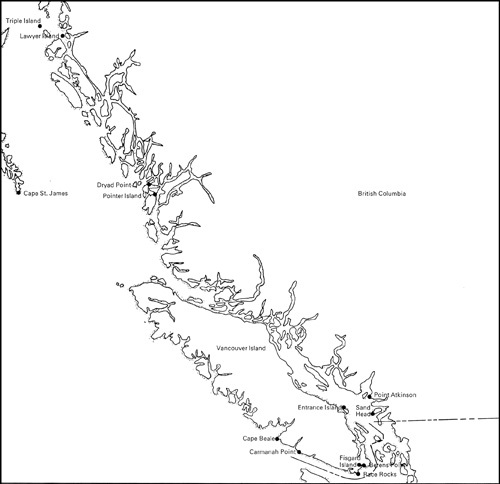 46 Anticosti Island, Southwest Point. 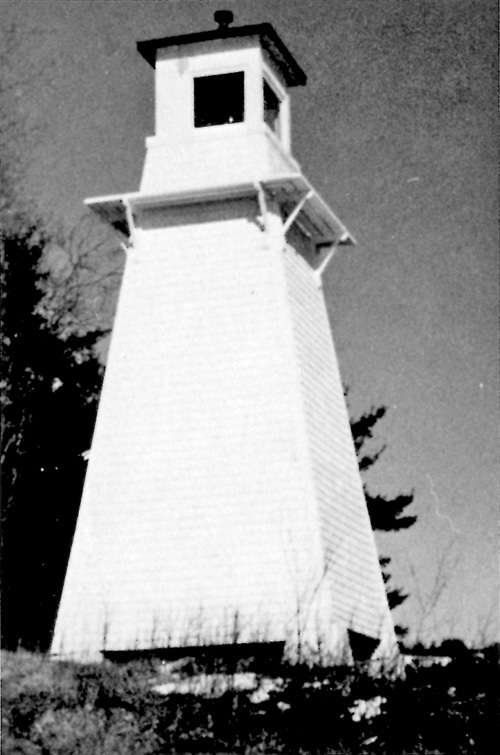 49 West Point lighthouse, P.E.I. 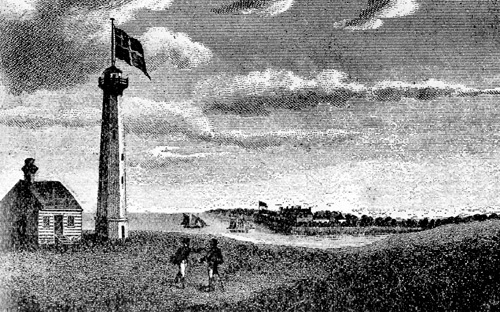 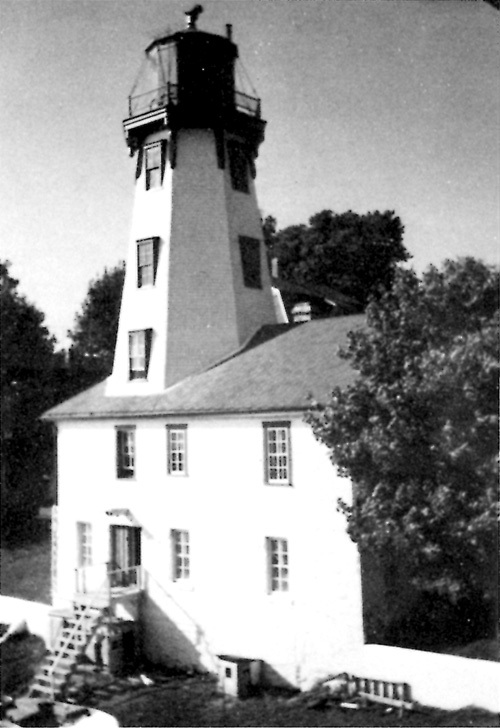 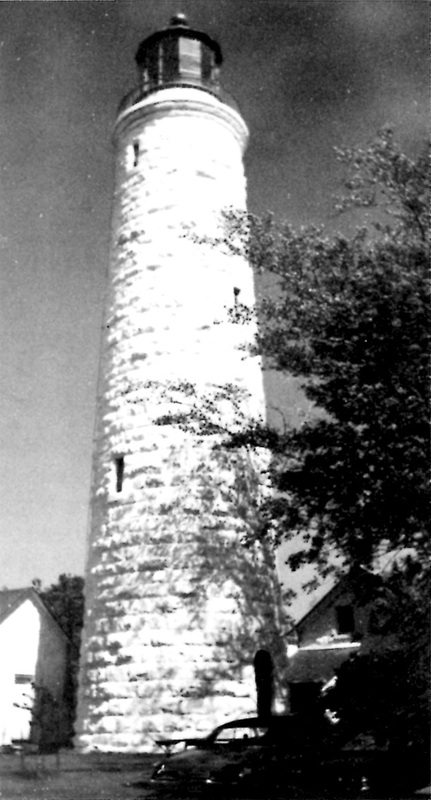 52 Red Islet lighthouse, built in 1848. 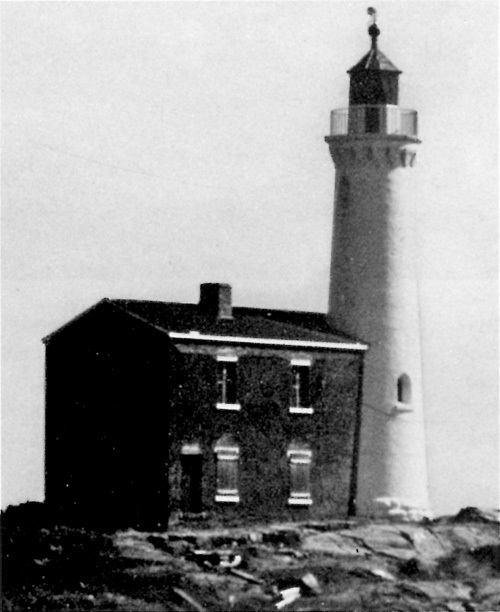 57 False Ducks Island lighthouse. 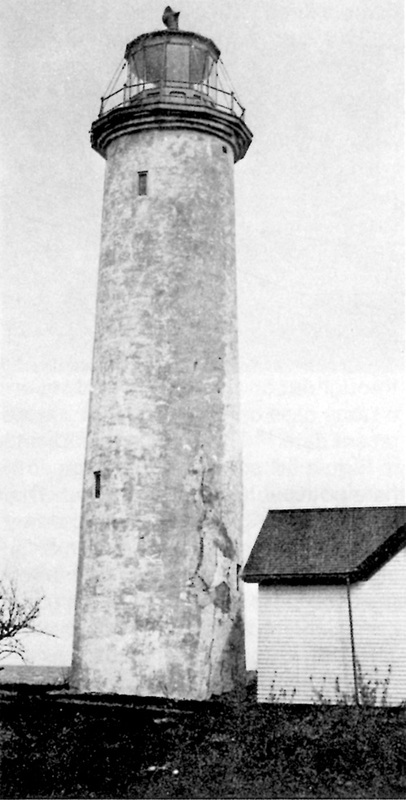 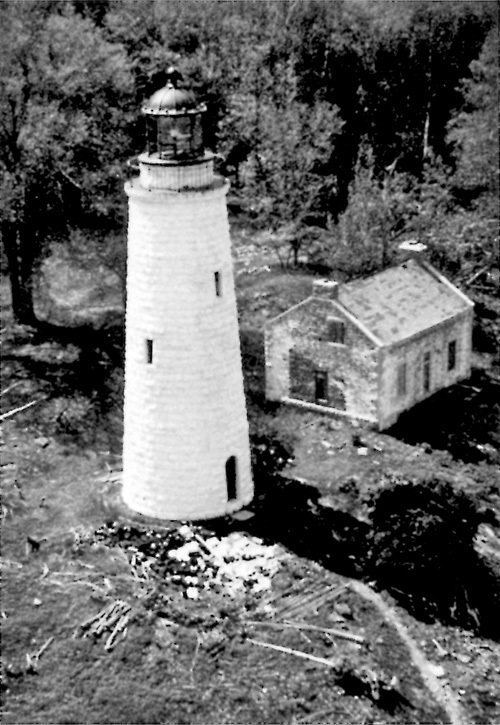 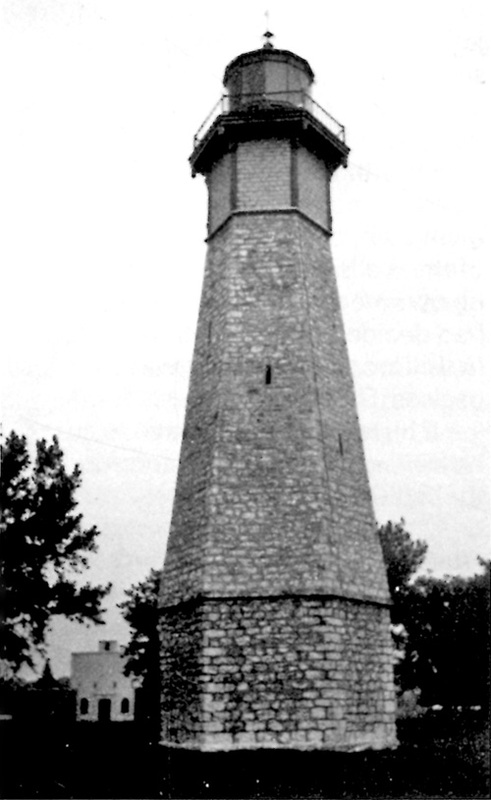 61 Former lighthouse near Long Point Bay, Lake Erie. 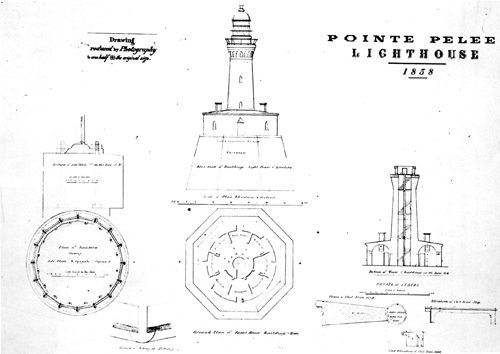 62 Plan of Point Pelee lighthouse, 1858. 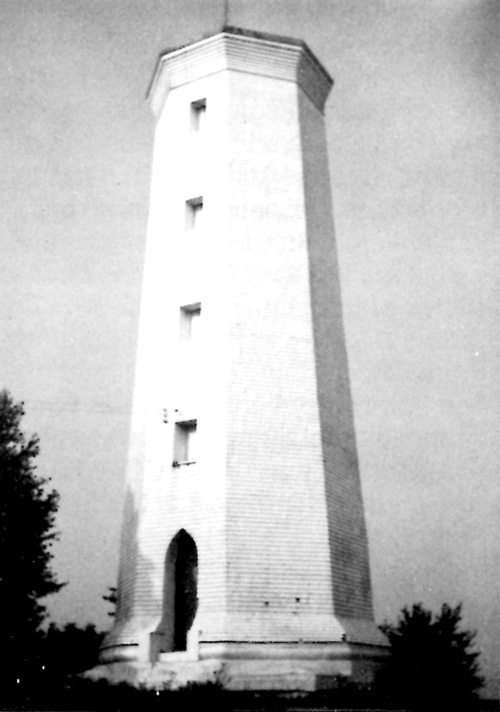 63 River Thames range light. 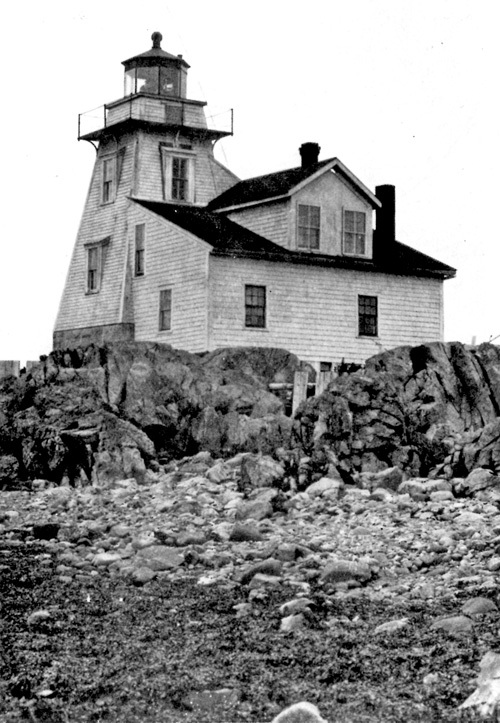 70 Red Rock Point lighthouse. 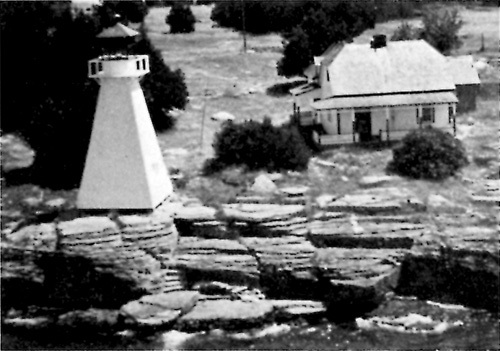 73 Gore Bay lighthouse, Manitoulin Island. 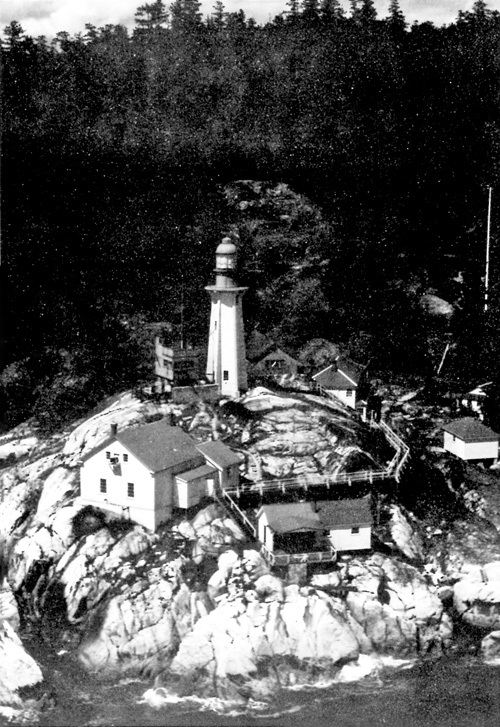 75 Quebec Harbour lighthouse, Lake Superior. 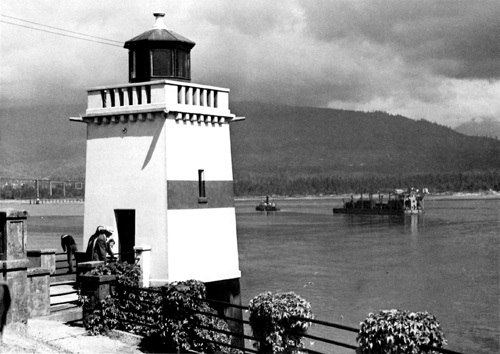 82 Brockton Point lighthouse, Vancouver Harbour. 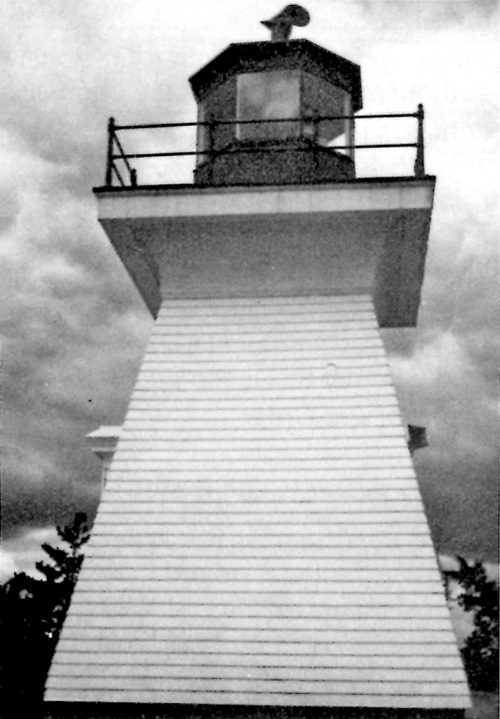 83 Deep River Islet lighthouse, Ottawa River. 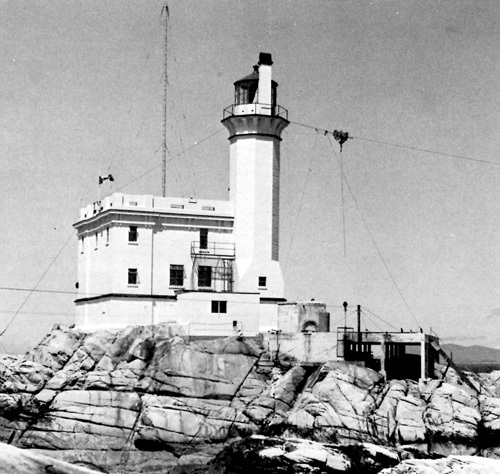 86 Killarney East range light. 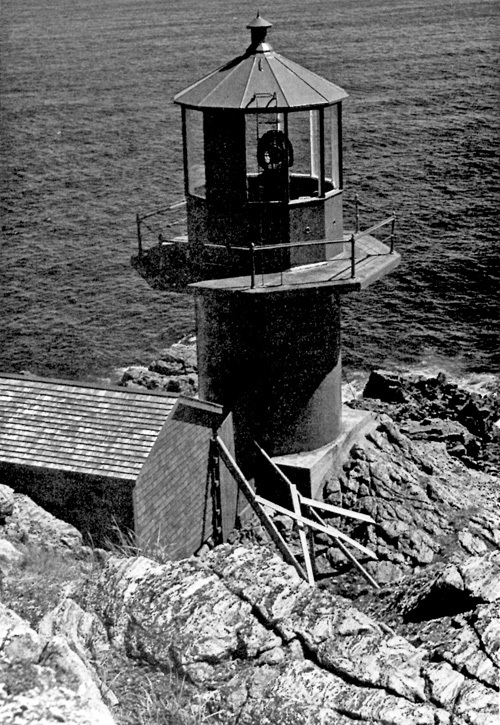 B7 Lighthouseson the Atlantic Coast. 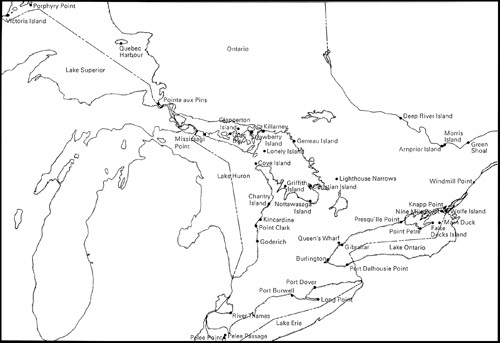 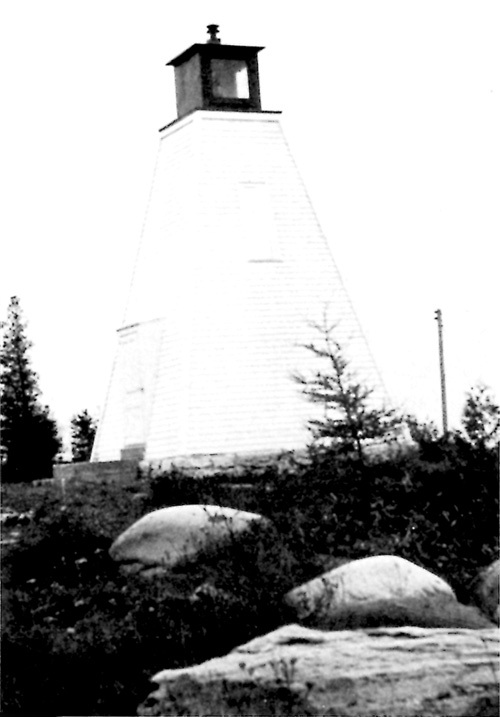 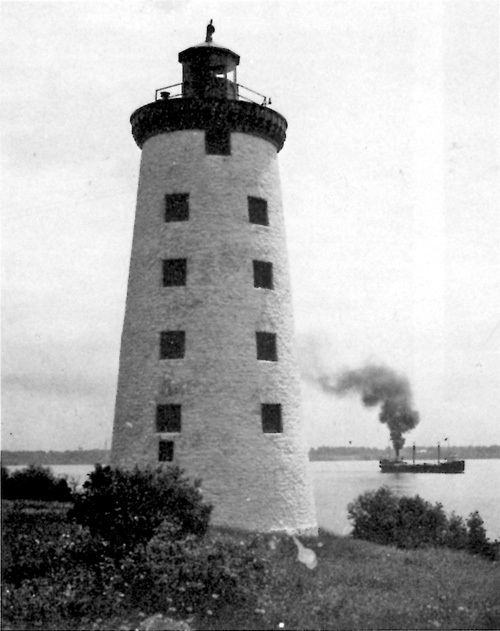 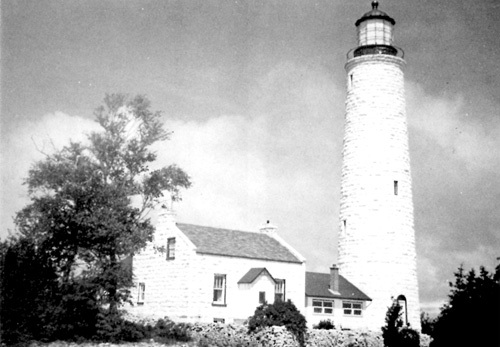 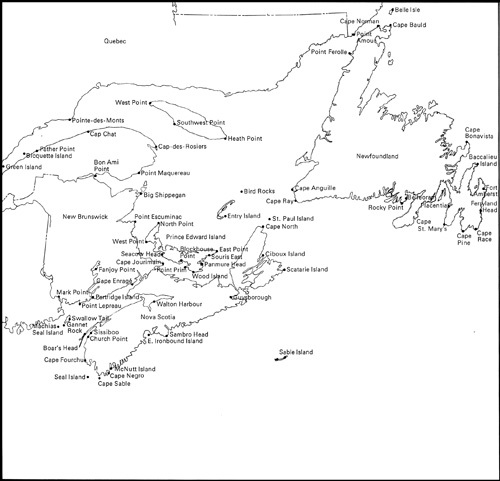 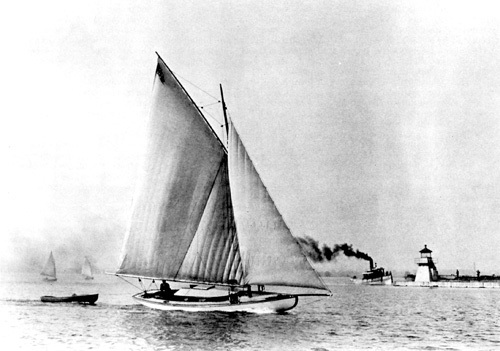 88 Lighthouses in the Great Lakes region and the upper St. Lawrence. 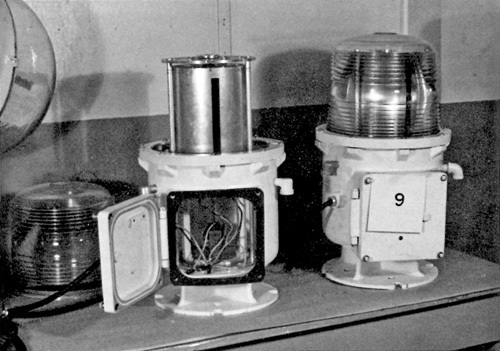 90 Lights in sub-Arctic waters.